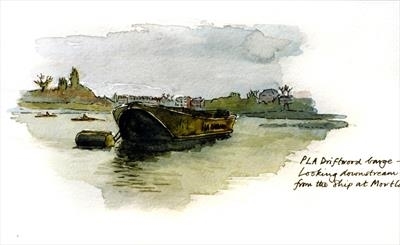 Sketchbook study of barge at Chiswick, illustration used for greetings card, now sold as limited edition 100 prints. Giclée on art paper with authentication for £150. Pen and wash study given to a family member but available for prints on Bockingford art paper. (Giclée). Also available as limited edition Giclée on canvas print with authentification for £150.